This is what CRIU does to dump information about opened files. When a task opens a file Linux kernel constructs a chain of 3 objects to serve this. This is an object which describes file as a couple of meta-data (owner, type, size) and data (the bytes themselves). 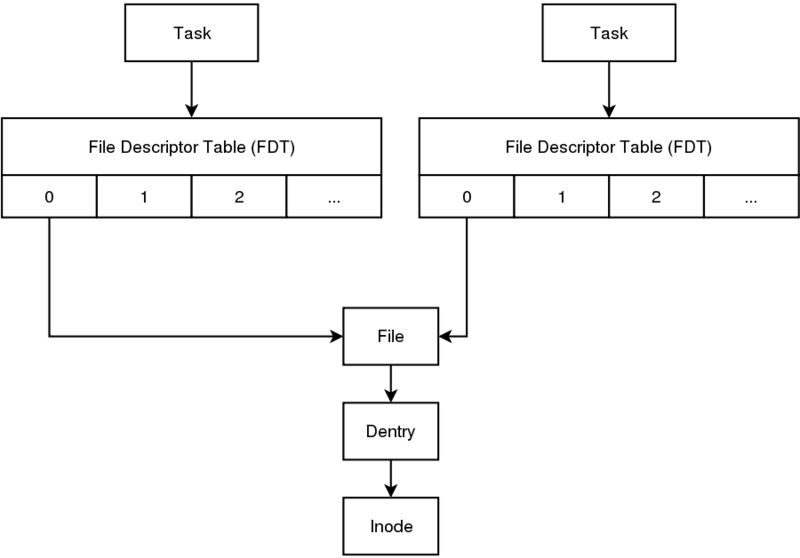 A helper object that kernel uses to resolve file path into Inode object. If a file has hard-links, then one Inode will have several Dentries. This one describes how a tasks works with an opened Dentry-Inode pair. 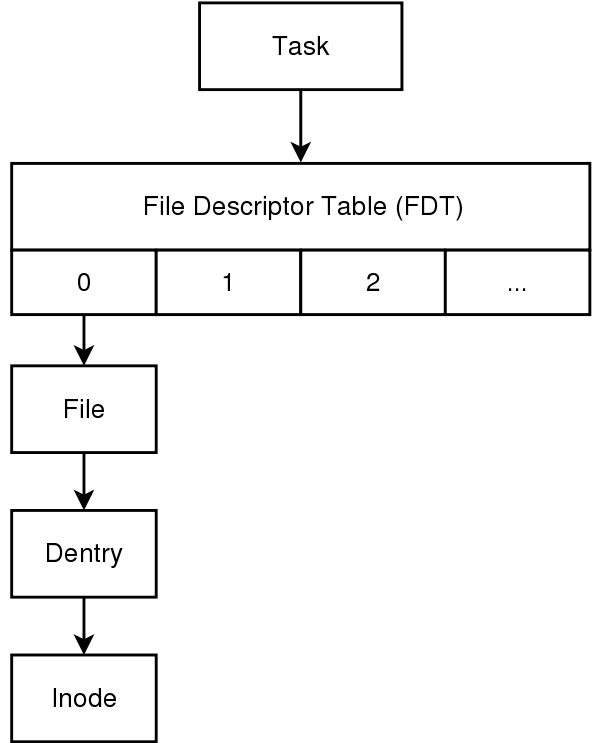 The File object can be referenced by more than on FDT, e.g. when a task calls fork() the child one gets new FDT, but it references the same Files as the parent does, i.e. Files become shared objects. Having said that CRIU introduces several images to keep info about what files are opened by task. First image is the fdinfo-$id.img one. This image contains info about FDT of a process. The entries have two important fields -- fd and id. The fd is the descriptor number under which the created on restore File should be put. The id is the identifier to the File-Inode object pair in other images. A full list of image files generated by CRIU is available in Images. In each of these image files is preserved appropriate information about File and Inode of respective file. Dentry information is effectively stored for regular files only -- the file's path. So on dump CRIU needs to find out several things. This is simple. Reading the /proc/$pid/fd or /proc/$pid/fdinfo directory just shows the required numbers. In order to find out whether two Files sitting beyond two FDs of two tasks are the same CRIU uses the kcmp system call. The inode type in most of the cases can be found out by stat()-ing the descriptor. To do this CRIU asks the parasite code to send back the files via unix socket's SCM_RIGHTS message. After this, having the same Files at hands CRIU fstats each and checks the st_mode field. For some stupid files (signalfd, inotify, etc.) the mode field is zero and CRIU reads the /proc/$pid/fd/$fd/ link. For those the link target uniquely defines the Inode type. From File CRIU needs only two things -- the mode and the position. Both can be read from /proc/$pid/fdinfo/$fd/ and the latter one can be requested via lseek call. This page was last edited on 13 September 2018, at 12:11.